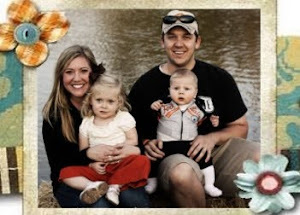 The Arbuckle Family Blog: Freebie Friday - Don't you love old things with a Modern Twist? Freebie Friday - Don't you love old things with a Modern Twist? I love old things with a new twist. Today we will be doing a giveaway for a Waxing Poetic Charm with the initial of your choice. They are made to look like old wax stamps. 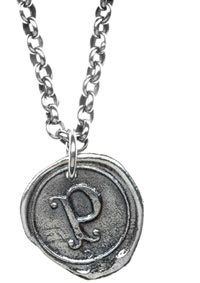 The charm will give away is their round insignia in Sterling Silver with a retail value of $38.00. This will be a beautiful addition to your chain. These charms have been featured in various magazines. 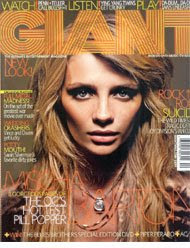 Here Misha Barton wearing a charm on the cover of Giant Magazine. They also make wonderful mother's day gifts. To Enter: Just post a comment including the initial you want and be sure to include your e-mail address if you don't have a blogger account, so I can get a hold of you. This giveaway will be open to enter until Monday at 10am. The winner will be announced /posted on Monday. Only one entry per person, but feel free to share... if you share on twitter, Facebook, e-mail, etc.. please tell me and I'll give you another entry for each place you post it. Beautiful. And your blog is fun, I copied down that recipe for Pork Medallions! I can't wait to try it. I would love the letter "P". Very cool! I would love one in the letter "H". I would love to have one(and so would a lot of other ladies). my e-mail is beechbum715@yahoo.com and I would like an "A". The necklace is adorable. D would be my initial. I would love to get a "Z"
I would love an "S"! Hey girl...love the charm and your blog!!! I would love to have an "A"
She wants an 'M'... so she can NEVER forget me! Or an 'L' because she is a little vain. I would like the letter A. These are great! Very cool! I like it!! Very cool necklace/pendant/charm. Much different than the norm! I would like the letter "C". I would love to use it for a gift for my grandson. I'd love one with a C for the initial! I would get an "A"
I LOVE these! My first comment didn't show up.?. I will tell friends about these. I love the vintage feel. I would pick a J. Very cool giveaway! I'd love the letter "V"
I love this! Very different. I'll take an "L" please. I love this piece...I would like an "m" on it...thanks! These are beautiful! "K" please! I would choose the letter A. Thanks so much for the fabulous contest! I emailed my entire in box! I also updated my status on Facebook about this. How cool is that?! Coming over from the Junkie...glad I did! I would love a "M"! I would love a "T" for myself or maybe a "J" for my 16yo cousin who would love it. LOVE these! I would love an A . Thanks for the opportunity! The charm is beautiful. I would love it in an "F"
Lovely! Would love it in a "K."